Ratings are in for the UFC 228 prelims and it’s not looking good. In fact, it couldn’t be much worse for last Saturday’s (Sat., September 8, 2018) pay-per-view card from the American Airlines Center in Dallas, Texas, at least for the preliminary card. The FX and Fight Pass-aired prelims reportedly brought in the lowest figures all year. 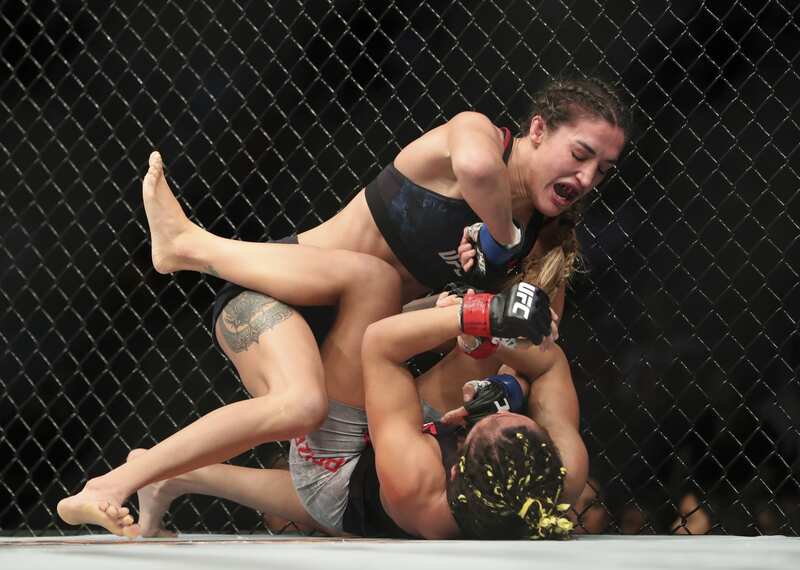 According to MMA Fighting’s Dave Meltzer, the prelims averaged 560,000 viewers, peaking with 683,000 viewers during the featured Tatiana Suarez vs. Carla Esparza fight, to earn the lowest numbers of the year. Several factors contributed to the low numbers, with the fights being moved to FX instead of the customary FOX Sports 1 to make room for college football certainly playing a big role. The overall competition factor with college football overall also definitely failed to help things as well. The numbers were the lowest for the prelims of a UFC pay-per-view card since September 2017’s UFC 215. That card saw the prelims delayed for an hour by the Walker Cup golf tournament. The event was a low-anticipated pay-per-view as well, with a scant 100,000 buys for the Amanda Nunes vs. Valentina Shevchenko-headlined card rating as one of the worst in modern history. Throughout 2018, UFC prelims have averaged 789,000 viewers on FOX Sports 1 and only 617,000 viewers on FX. The prelims faced competition from three major football games airing concurrently, but overall, the main detractor to the UFC 228 prelims was simply the lack of interest in the card and more specifically, the lack of interest in its main event, which is always the main motivating factor in how a card rates on both TV and pay-per-view. This event saw welterweight champion Tyron Woodley defend his title against highly-promoted rising Brit Darren Till in the main event. 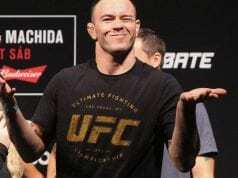 But while Till has been hyped through the roof since beating Donald Cerrone last year, a few indicators show that Till did not actually bring much attention to the card in an overarching sense. There were around 500,000 Google searches for the event, with 200,000 of those being for Woodley itself. Meltzer clarified that while this was a low number, it wasn’t necessarily a disaster and on par with Google search expectations for the event. The pre-fight show airing on FX brought 271,000 viewers while the post-fight show on FOX Sports 1 did a putrid 64,000 viewers, again showing a pure lack of interest in the product the UFC offered last weekend. The UFC has seen far too much of this during this year, and while that’s bound to turn around with next month’s Conor McGregor vs. Khabib Nurmagomedov megafight, McGregor can’t fight every weekend. Clearly, the UFC is losing the interest of fans. If they can turn that around is anyone’s guess.